The book is scheduled for release from Fox Chapel Publishing in October 2018 just in time for World Origami Days, a period of time from October 24—November 11 devoted to celebrating the joy of paper-folding. The United States has some the greatest origami masters in the world. While the craft has ancient origins, its modern incarnation is pretty recent. In recent decades, the hobby has grown immensely in America, with Origami clubs and associations spreading around the nation. 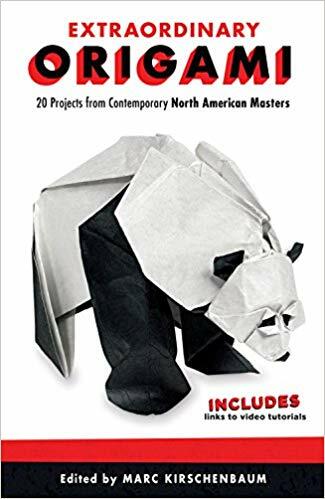 Marc Kirschenbaum, an active member and Board member of OrigamiUSA, noticed this trend and decided to compile the greatest American origami masters into one book. The result of Kirschenbaum’s contemporary origami research is Extraordinary Origami: 20 Projects from Contemporary American Masters. 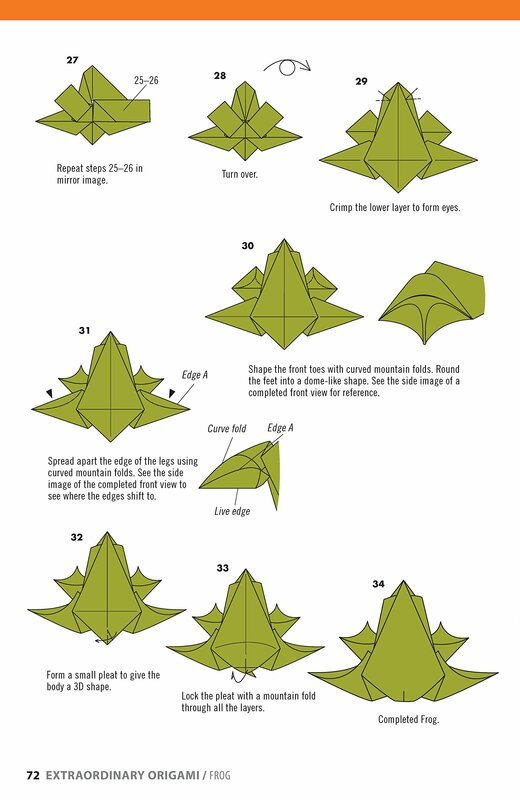 Grand Master origami artists such as Neal Elias, Peter Engel, Michael LaFosse, Robert J. Lang, Jeremy Shafer, and more are featured and show you how to fold their most remarkable creations with ease. 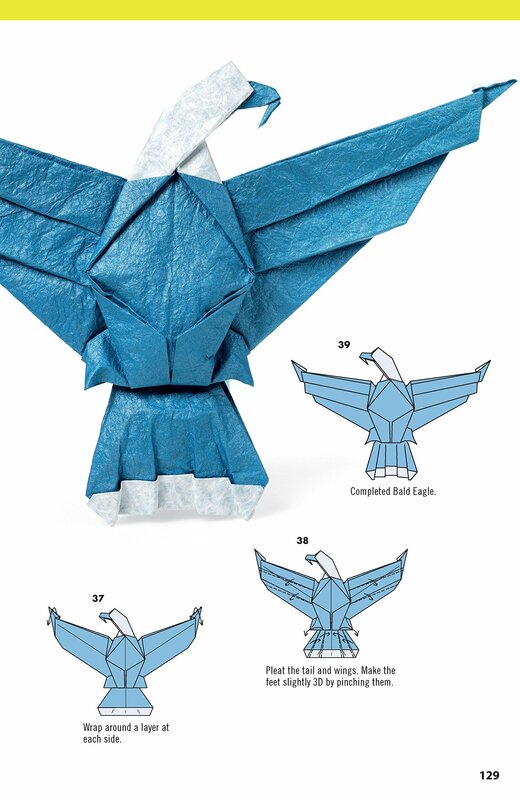 20 origami masterpieces including frogs, birds, butterflies, pandas, and more. Step-by-step folding sequences, instructions, and vivid photos for each project. Wide variety of artistic approaches are illustrated, covering a wide range of topics. QR codes for each project connect to instant video tutorials with the artists. Intermediate and advanced origami practitioners will discover how to create impressive paper folding sculptures ranging from frogs, bees, butterflies, and blackbirds to a giant panda, a classic harlequin, and a Santa Claus scene. Step-by-step folding sequences, specific instructions, and vivid color photographs are provided for each project. Illustrating a wide variety of artistic approaches, each masterpiece includes a QR code linking to a video tutorial with the artist. The United States has some the greatest origami masters in the world, and inside Extraordinary Origami, these American Grand Master origami artists show how to fold their most remarkable creations! About the Author: Marc Kirschenbaum is a leading American origami artist. He has covered a wide range of subject matter, and has utilized a variety of folding mediums. His works have been shown in many museums and shows around the world, including the American Museum of Natural History, The Smithsonian, Mingei International Museum, and Hangar-7. He has also had his works published in many books and periodicals. Marc is also an active member of OrigamiUSA, a premiere international origami organization. He is currently on the Board of Directors, and manages the production of many of this organization’s publications.